Isaac Florentine’s third film with Scott Adkins is an impressive, action-packed martial arts caper which bumps the British star into top billing for the first time in his career. The clean-cut Adkins is brilliantly understated, dressed unassumingly in brown leather jacket and jeans before he storms the villain’s clandestine compound and acrobatically smashes up the place, stylishly sending waves of brutish baddies to the ground with his flying fists and feet. Another great, visceral sequence is set on board a New York subway train which shows Florentine (himself a martial arts expert) opting for an intimately handheld approach to the bone-breaking action, with Adkins inflicting Tony Jaa levels of pain. 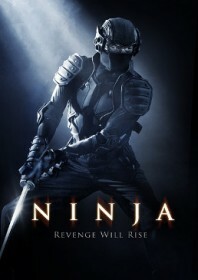 The more effects-driven aspects of the film are slightly less convincing but still fun; Florentine adopts cartoonish blood splatter in post-production in slight mimicry of Ninja Assassin, although thankfully the technique is not too intrusive, and there is almost a comic book level of make believe to the cyber-suit of rogue ninja Masazuka (Tsuyoshi Ihara), who has fashioned an upgraded get-up complete with heat-seeking infrared goggles, an extendable Katana sword and a bat cape. It is a testament to Florentine’s taut pacing that even the film’s sillier aspects can be easily overlooked. Adkins plays Casey, an American-born orphan who becomes teacher’s pet at a Japanese ninjitsu school with a roving eye set on the sensei’s daughter, Namiko (Mika Hijii). Fellow student Masazuka gets the hump when he is told he’ll never become the next ‘Soke’ (headmaster); he attacks Casey and is expelled from ninja school. Flash forward a bit and Masazuka is now a hard-nosed stealth assassin picking off top-level Russian oil tycoons with his poisonous darts for a bizarre cabal of cult business leaders in New York. Masazuka also wants his grubby hands on the Yoroi Bitsu – a sacred stash of traditional Japanese weaponry belonging to the ancient Koga ninja – which is transported by Casey and Namiko for safekeeping at the university of New York. Masazuka sets the hoods on them, and also lops off the head of his former teacher to add a revenge motive to the story.